Morning, with a crazy cacophony of birds outside the window of the spartan room that’s my lodging here at Kpong, and I’m grappling with how to tell this story. Or even which story to tell. The problem is that there’s no way to tell it all at once. 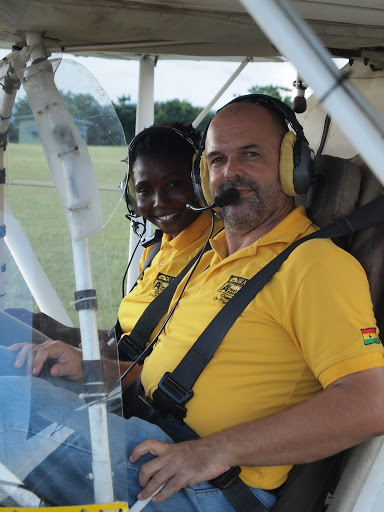 Most people begin with the moment, five years ago, when Patricia, a teenage girl from the local village, walked out of the bush surrounding the airfield, and asked Jonathan for a job. He gave her a machete to clear the runway, and a broom to clean the hangar. But she paid attention to everything and quickly knew more about the airplanes than some of his regular hired help. After they failed to show up a few times, Patricia had herself a new job. Or I could begin even further back, when Jonathan nearly lost his son in a horrific traffic accident here, and was maddened by the impossibility of getting quick medical attention to the needy in rural Ghana. He’d come to the country with USAID, but turned his attention to creating a non-profit, Medicine on the Move; he wanted to use light aircraft to bring medical help and education to villages here that are almost cut off from the rest of the world. And I can’t begin with the transformation that Patricia’s promotion had on the whole effort, but that’s where the seed of yesterday’s magic began. 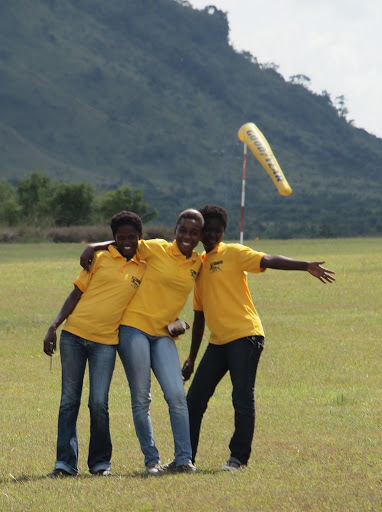 I still don’t have the full story on how AvTech began, how the need for light aircraft transformed into a school for rural girls. Girls are often unvalued and ignored in rural communities, seen as a burden on their families. Jonathan and Patricia have taken seven of these girls under their wing – literally. They built a dorm on the far side of the airfield and founded Avtech Academy. Provided lodging and hot meals for the girls, and gave them an education. Under their guidance, Juliet, Beatrice, Cate, Lydia, Deborah, Emmanuel and Freda are going to school. They’re learning to build, maintain and operate aircraft. They’re learning health education and advanced first aid skills. 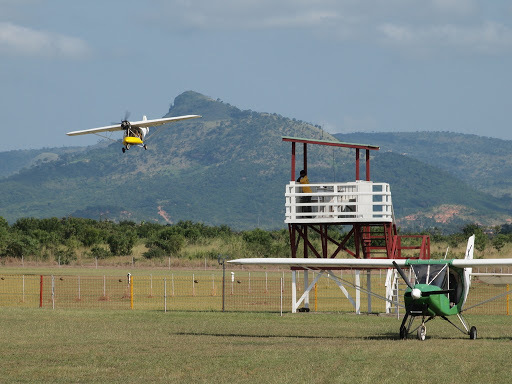 They’re learning to become the mechanics and pilots and bush EMTs who – far from being a burden – will serve as a lifeline to medical help and education for their villages and others across Ghana. And a shining example for the next generation. Patricia has blossomed into a beautiful example of what these girls can achieve. 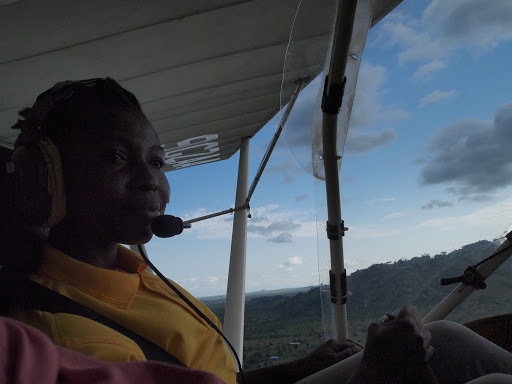 Having become the first Ghanaian woman to earn the National Pilots License, she has developed into a remarkably skilled flight instructor (and one of very few civilian instructors – of either gender – for ultralights), as well as a spectacular mentor for the girls. Together, they – Jonathan, Patricia and the girls – are sowing the seeds of change for the next generation of Ghanaian women. But yesterday afternoon, after a hard day of pushing airplanes, running the control tower and making weather reports, the girls of Kpong weren’t thinking about changing the world. They were just being girls, walking back down the taxiway, laughing, joking and singing to themselves. It was a sweet, joyful scene, and that’s the story I want to find a way to tell. 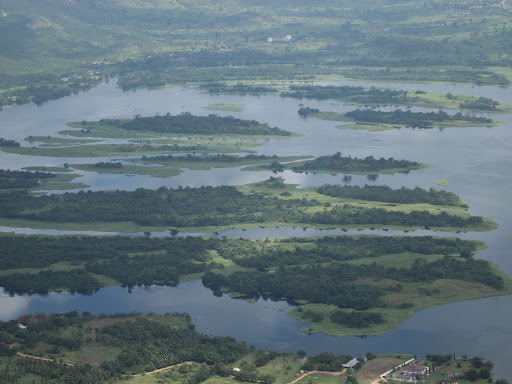 Alas, I am sad to say that Kpong Airfield shut down due to increased local instability.